From the author of the popular Weather Warden series. Welcome to Morganville, Texas. Just don’t stay out after dark. College freshman Claire Danvers has had enough of her nightmarish dorm situation, where the popular girls never let her forget just where she ranks in the school’s social scene: somewhere less than zero. When Claire heads off-campus, the imposing old house where she finds a room may not be much better. Her new roommates don’t show many signs of life. But they’ll have Claire’s back when the town’s deepest secrets come crawling out, hungry for fresh blood. The wait is over. dig into the feast…In the town of Morganville, vampires and humans live in relative peace. Student Claire Danvers has never been convinced, though-especially with the arrival of Mr. Bishop, an ancient, old-school vampire who cares nothing about harmony. What he wants from the town’s living and its dead is unthinkably sinister. It’s only at a formal ball, attended by vampires and their human dates, that Claire realizes the elaborately evil trap he’s set for Morganville. In the college town of Morganville, vampires and humans coexist in (relatively) bloodless harmony. Then comes Bishop, the master vampire who threatens to abolish all order, revive the forces of the evil dead, and let chaos rule. But Bishop isn’t the only threat. Violent black cyclone clouds hover, promising a storm of devastating proportions as student Claire Danvers and her friends prepare to defend Morganville against elements both natural and unnatural. In the small college town of Morganville, vampires and humans lived in (relative) peace-until all the rules got rewritten when the evil vampire Bishop arrived, looking for the lost book of vampire secrets. He’s kept a death grip on the town ever since. Now an underground resistance is brewing, and in order to contain it, Bishop must go to even greater lengths. He vows to obliterate the town and all its inhabitants-the living and the undead. Claire Danvers and her friends are the only ones who stand in his way. But even if they defeat Bishop, will the vampires ever be content to go back to the old rules, after having such a taste of power? Well obviously this series prolongs but to me i had a closure at book 6. All of these books were so amazing! The suspense was torture but the author still managed to fill in some need. Each book after the other was a masterpiece and i recommend this book to people 13+ ! Obviously for some intimacy and a bit of gruesome stuff, i mean it is vampires after all we’re dealing with ! When Abbey’s best friend, Kristen, vanishes at the bridge near Sleepy Hollow Cemetery, everyone else is all too quick to accept that Kristen is dead?and rumors fly that her death was no accident. Abbey goes through the motions of mourning her best friend, but privately, she refuses to believe that Kristen is really gone. Then she meets Caspian, the gorgeous and mysterious boy who shows up out of nowhere at Kristen’s funeral, and keeps reappearing in Abbey’s life. Caspian clearly has secrets of his own, but he’s the only person who makes Abbey feel normal again…but also special. Just when Abbey starts to feel that she might survive all this, she learns a secret that makes her question everything she thought she knew about her best friend. How could Kristen have kept silent about so much? And could this secret have led to her death? As Abbey struggles to understand Kristen’s betrayal, she uncovers a frightening truth that nearly unravels her—one that will challenge her emerging love for Caspian, as well as her own sanity. This book was horrible! It only got interesting in the last 10 pages. I mean gosh! For 95% of the book all it talks about is her perfume obsession, getting bullied and how much she was “so in love with Caspian(some mysterious guy) So retarded! You’d have no idea it’s a ghost story till the ending. Horrible writing! And their was no ‘suspense’ just crap. The only time they mentions ghosts through the 95% of the book was when they were talking about some kinda headman horse rider.. idk something like that . i don’t care. Do not waste your time buying this book, try lending it from someone. I’m happy that’s what i did or else i would’ve been pissed! 2 out of 5 stars and those only because of the ending! Zara and her friends knew they hadn’t solved the pixie problem for good. The king’s needs grow deeper every day he’s stuck in captivity, while his control over his people gets weaker. And now there’s a new king in town. A turf war is imminent, since the new pixie king, Astley, is moving in quickly. Nick nearly killed him in the woods on day one, but Zara came to his rescue. Astley swears that he and Zara are destined to be together, that he’s one of the good guys. Nick isn’t buying it, though Zara isn’t as sure — despite herself, she wants to trust the new king. But it’s a lot more than her relationship with Nick that is at stake. It’s her life — and his. OMG, I loved this book!. Finished it in a day! Not one boring part, and the main character is just awesome. Jeez. Zara would do anything to keep her wolfboy safe and when i say anything i mean anything. If you’ve read the first book already, you know what I’m talking about.I can’t wait to get my hands on the next one. I reccomend that EVERYONE reads this series!!!! The book was nice. Basically about these weird creatures that lived off the fear/love of humans in a town called Gentry. Umm, the main character happened to be one of those replacements and he took a stand against their crap. I can't say much or else it would spoil it. I never got bored in this book and i fell in love with the characters. some of the content is really creepy though so if you know you can't handle blood and corpse people don't touch it. Also if your a strong believer in God and hate discrimination... be careful with this book.<br/>Really enjoyable for me though. EPIC! Wow this book was soooooo corny. I mean really? Who published this. The main character is just straight up kind of bitchy only thing i like about her is she stick up for what she wants. But other than that… the whole mermaid part was retarded. 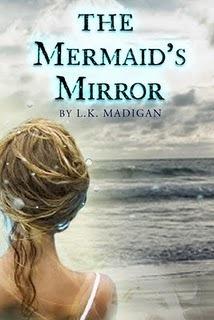 Not much to say on this book, its like a cheaper version to Little Mermaid MINUS castles and singing crabs and that sort. I hated this book, i only read it because i was bored. 1 out of 5 stars… only for a few interesting parts! Thirteen-year-old Salamanca Tree Hiddle’s mother has disappeared. While tracing her steps on a car trip from Ohio to Idaho with her grandparents, Salamanca tells a story to pass the time about a friend named Phoebe Winterbottom whose mother vanished and who received secret messages after her disappearance. One of them read, “Don’t judge a man until you have walked two moons in his moccasins.” Despite her father’s warning that she is “fishing in the air,” Salamanca hopes to bring her home. By drawing strength from her Native American ancestry, she is able to face the truth about her mother. Walk Two Moons won the 1995 Newbery Medal. Okay so . . . this book wasn’t awesome, but it was okay. It had loving characters yet annoying ‘want to kill’ characters. Sometimes i got board, sometimes i was excited, sometimes i was happy, sometimes i was sad then at the ending i cried. Yes the book was different, but i guess i wasn’t fond at it because it wasn’t my genre. I usually like paranormal stuff i only read this out of boredom, almost immideatly when i started reading this book, i realised that it wasn’t for me.